« blink 182 the movie? At the conclusion of the theatrical version of Paranormal Activity, we’re left wondering whaere the hell the demon-filled Katie went. Well, now we get to know… sort of. 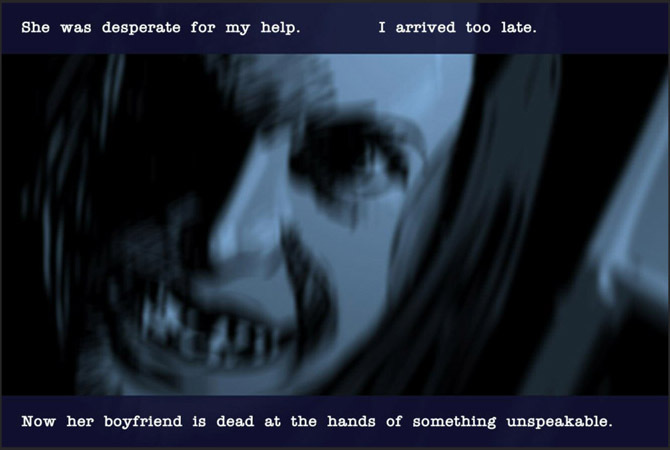 IDW Publishing has released an iTunes exclusive digital graphic novel called Paranormal Activity: The Search for Katie. The plot of the graphic novel follows the paranormal investigator that was too busy sipping on a Mai Tai on a beach somewhere to help Katie battle her inner-demons as he tries to find Katie. I read this 99 cent novel and am now wondering what the hell is next. The graphic novel available right now only covers the very beginning of the search for Katie… am I going to have to buy a whole bunch of future novels if I want to find out the rest of the story? Or was this all IDW is putting out? This entry was posted on Wednesday, December 9th, 2009 at 4:24 pm	and is filed under Movie News. You can follow any comments to this post through the RSS 2.0 feed. You can leave a response, or trackback from your own site.